Thank you for all your lovely entries for last week's challenge - such a lot of entries once again! 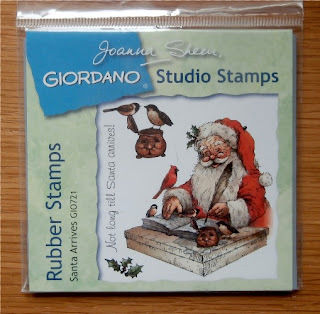 Please keep that Christmas stash out and make something this week and share your entries - I look forward to seeing them. It seems unbelievable that tomorrow is 1 October ... we need to seriously get on with those Christmas designs now. Congratulations, Dreja.. Please email me at craftyhazelnut@gmail.com with your full name and address so I can arrange for you to claim your Papermania Urban StampTulip Xmas Mistletoe Friends. 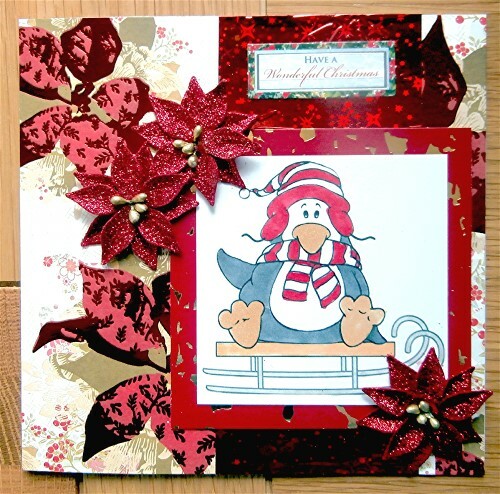 Every CHNC challenge is 'anything goes as long as it's Christmas', which will, hopefully, encourage as many crafters as possible to join in with their festive creations. However, there will always be an optional theme, which this week is 'black and white and one other colour'. I want to stress that this is purely optional. Now it's over to you. 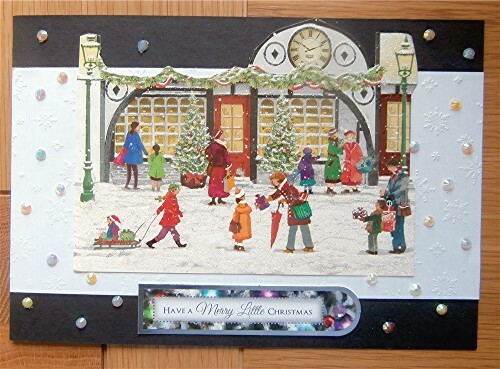 You can use any materials, any techniques - it's anything goes as long as it's Christmas, with the optional theme of 'black and white and one other colour'. I look forward to seeing what you come up with for this challenge - please add a link to your blog post (not your blog, but the actual post where your creation can be found) by 20:00 UK time Friday 6 October 2017. 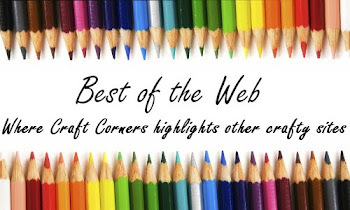 Please include a link to this blogpost within the post for your creation. A new challenge will be set on Saturday 7 October 2017 at 09:00 UK time. 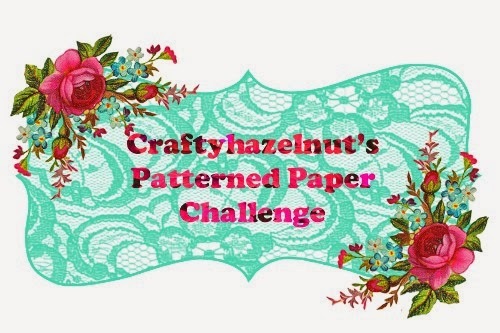 Don't forget that 'anything goes' monthly challenges are on my Craftyhazelnut's Christmas Challenge Extra blog (these are still being sponsored by Bugaboo Stamps with a prize of four digital images for the randomly chosen winner each month) - you can share any Christmas creation you make throughout the whole month, including those that you link here - there is no restriction on the number of entries you can make throughout the month - the link for CHNC challenge extra for September is here and the link for October will be added at the beginning of the month. Thank you for all your lovely entries for last week's challenge - such a lot of entries once again! Please keep that Christmas stash out and make something this week and share your entries - I look forward to seeing them. As we're getting towards the end of September, this is the time to get serious about getting those Christmas designs done and added to the pile. 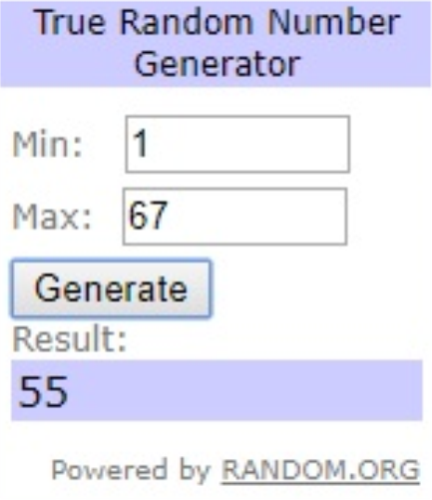 Congratulations, Trijntjes. 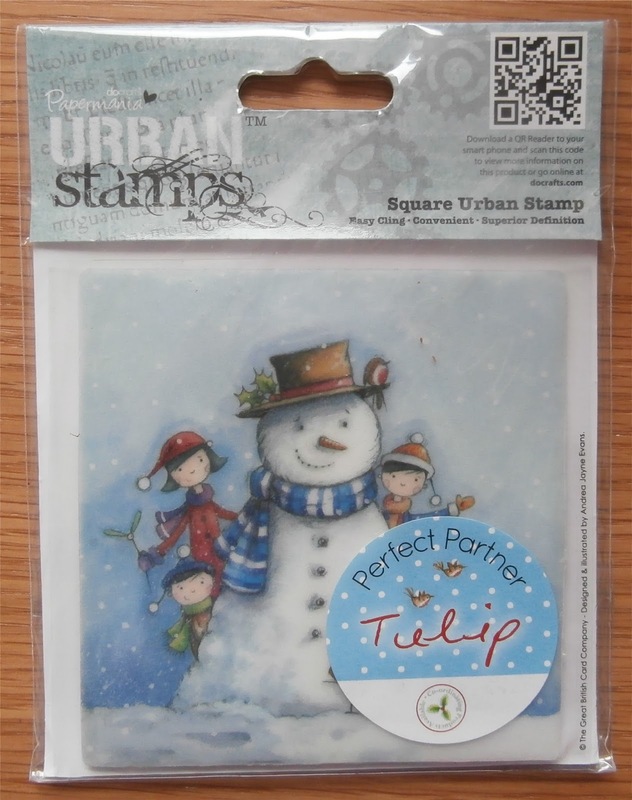 Please email me at craftyhazelnut@gmail.com with your full name and address so I can arrange for you to claim your Papermania Urban Stamp Tulip Xmas Snowman. 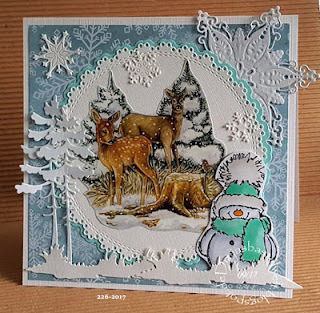 Every CHNC challenge is 'anything goes as long as it's Christmas', which will, hopefully, encourage as many crafters as possible to join in with their festive creations. However, there will always be an optional theme, which this week is 'for a male'. I want to stress that this is purely optional. Now it's over to you. You can use any materials, any techniques - it's anything goes as long as it's Christmas, with the optional theme of 'for a male'. I look forward to seeing what you come up with for this challenge - please add a link to your blog post (not your blog, but the actual post where your creation can be found) by 20:00 UK time Friday 29 September 2017. 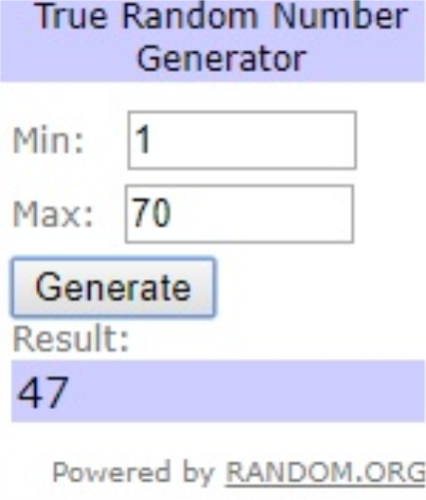 Please include a link to this blogpost within the post for your creation. A new challenge will be set on Saturday 30 September 2017 at 09:00 UK time. 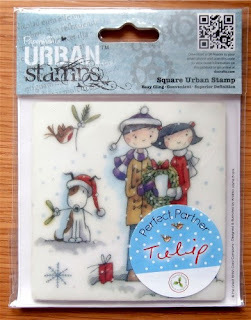 Don't forget that 'anything goes' monthly challenges are on my Craftyhazelnut's Christmas Challenge Extra blog (these are still being sponsored by Bugaboo Stamps with a prize of four digital images for the randomly chosen winner each month) - you can share any Christmas creation you make throughout the whole month, including those that you link here - there is no restriction on the number of entries you can make throughout the month - the link for CHNC challenge extra for September is here. Thank you for all your lovely entries for last week's challenge - such a lot of entries once again! Please keep that Christmas stash out and make something this week and share your entries - I look forward to seeing them. As we're now well into September, this is the time to get serious about getting those Christmas designs done and added to the pile. 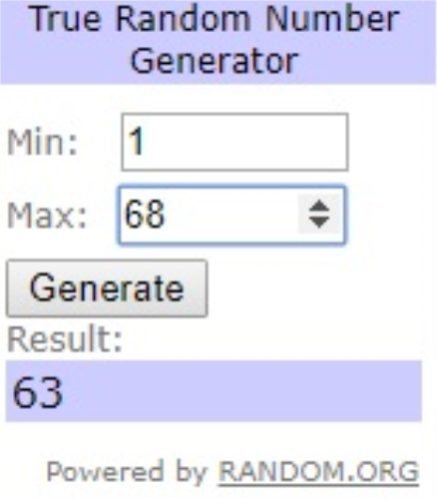 Congratulations, NanaConnie. Please email me at craftyhazelnut@gmail.com with your full name and address so I can arrange for you to claim your Crafter's Companion Signature collection by Sara Davies Floral delight 6" x 6" paper pad. Every CHNC challenge is 'anything goes as long as it's Christmas', which will, hopefully, encourage as many crafters as possible to join in with their festive creations. 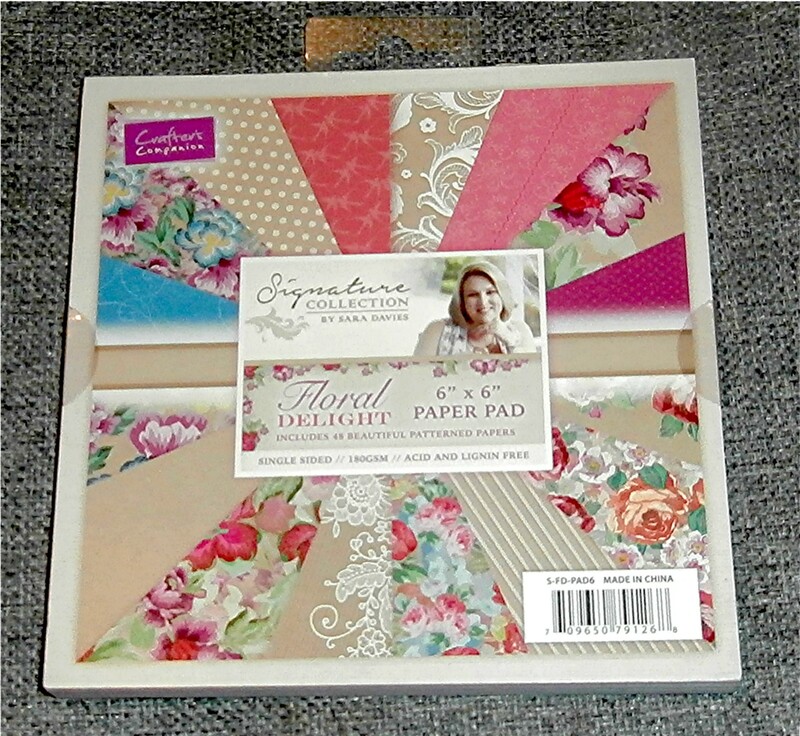 However, there will always be an optional theme, which this week is 'use 3 different patterned papers'. I want to stress that this is purely optional. Now it's over to you. 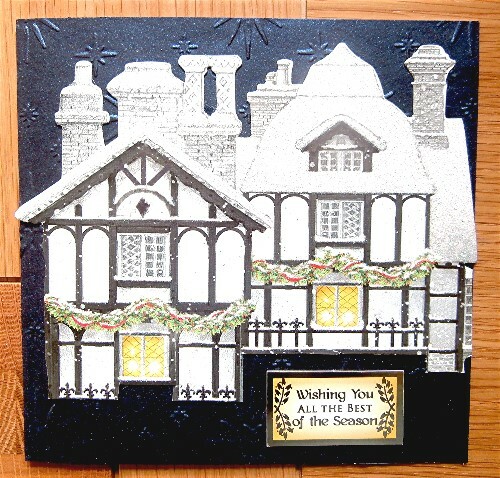 You can use any materials, any techniques - it's anything goes as long as it's Christmas, with the optional theme of 'use 3 different patterned papers'. I look forward to seeing what you come up with for this challenge - please add a link to your blog post (not your blog, but the actual post where your creation can be found) by 20:00 UK time Friday 22 September 2017. 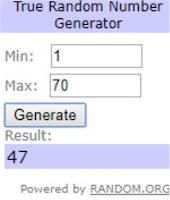 Please include a link to this blogpost within the post for your creation. A new challenge will be set on Saturday 23 September 2017 at 09:00 UK time. Thank you for all your lovely entries for last week's challenge - such a lot of entries once again! Please keep that Christmas stash out and make something this week and share your entries - I look forward to seeing them. 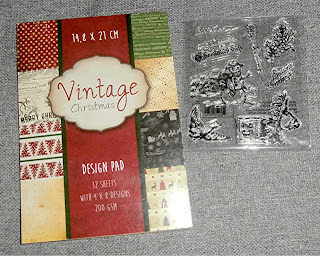 As it's now September, this is the time to get serious about getting those Christmas designs done and added to the pile. 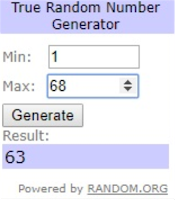 Before I tell you about this week's challenge, I need to let you know the winner of challenge 349. Congratulations, Teresa. 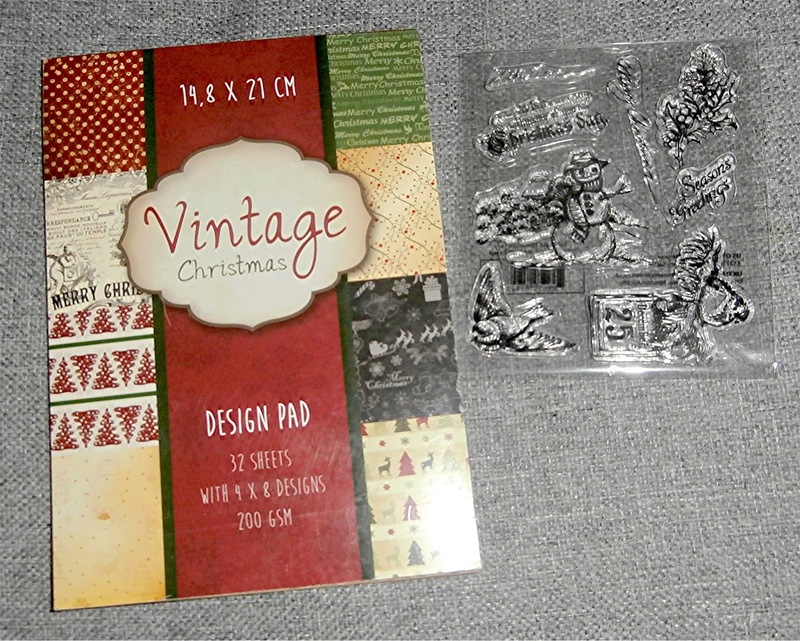 Please email me at craftyhazelnut@gmail.com with your full name and address so I can arrange for you to claim your vintage Christmas design pad and set of vintage Christmas clear acrylic stamps. 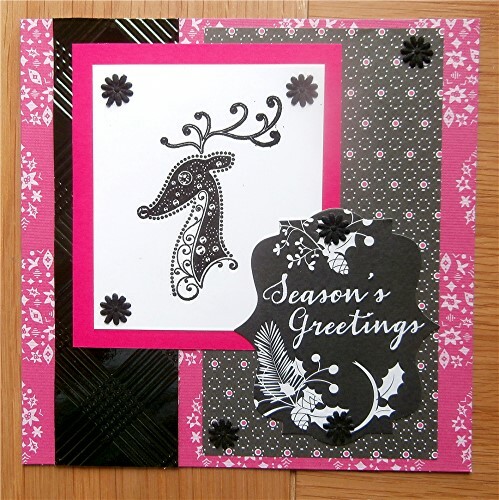 Every CHNC challenge is 'anything goes as long as it's Christmas', which will, hopefully, encourage as many crafters as possible to join in with their festive creations. However, there will always be an optional theme, which this week is 'add some flowers or foliage'. I want to stress that this is purely optional. Now it's over to you. You can use any materials, any techniques - it's anything goes as long as it's Christmas, with the optional theme of 'add some flowers or foliage'. I look forward to seeing what you come up with for this challenge - please add a link to your blog post (not your blog, but the actual post where your creation can be found) by 20:00 UK time Friday 15 September 2017. Please include a link to this blogpost within the post for your creation. A new challenge will be set on Saturday 16 September 2017 at 09:00 UK time. Please also consider going to CHNC Facebook page and clicking 'like' if you haven't done so already and encourage your friends to do the same (good to see quite a lot of new 'likes' during the past week). Before I tell you about this week's challenge, I need to let you know the winner of challenge 348. Congratulations, Tindaloo. 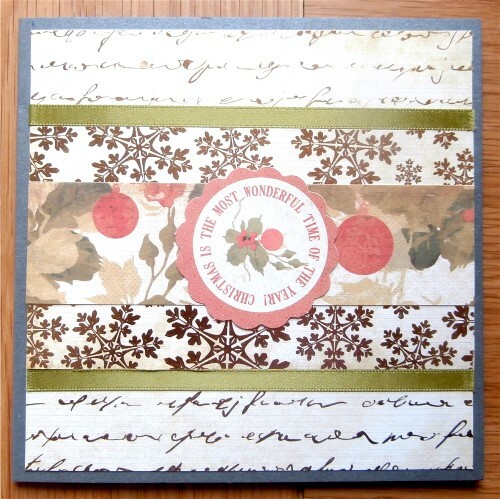 Please email me at craftyhazelnut@gmail.com with your full name and address so I can arrange for you to claim your Couture creations holly flourishes stencil and Die'sire Embossalicious Christmas patchwork embossing folder. 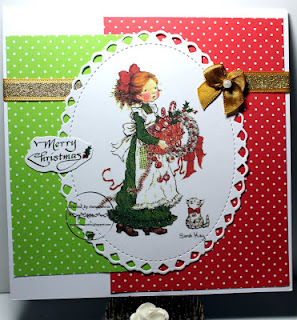 Every CHNC challenge is 'anything goes as long as it's Christmas', which will, hopefully, encourage as many crafters as possible to join in with their festive creations. However, there will always be an optional theme, which this week is 'add some sparkle'. I want to stress that this is purely optional. Now it's over to you. 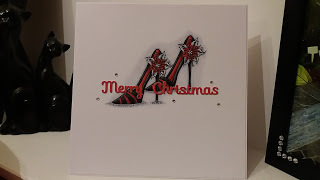 You can use any materials, any techniques - it's anything goes as long as it's Christmas, with the optional theme of 'add some sparkle'. I look forward to seeing what you come up with for this challenge - please add a link to your blog post (not your blog, but the actual post where your creation can be found) by 20:00 UK time Friday 8 September 2017. 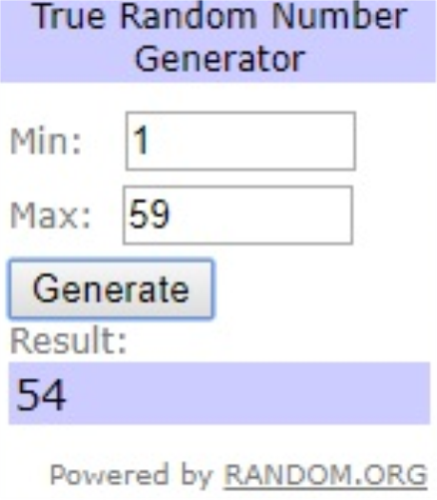 Please include a link to this blogpost within the post for your creation. A new challenge will be set on Saturday 9 September 2017 at 09:00 UK time.